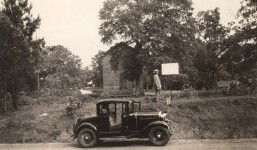 The cottage in which the first model of the present flag of Alabama was made, stands at the northeast corner of Hull and Grove Streets, 535 Hull Street, Montgomery, Ala.1 The land upon which this cottage is built, was first owned by Judge John Goldthwaite, according to the earliest plat of the City. On April 29th, 1850, Judge Goldthwaite sold the land, with several of the surrounding acres, to Oliver and Harriet Wetmore of New York City. Mr. Wetmore held it until 1853 and then divided the section into lots and sold them, most probably, at public auction, as this was the customary way of selling large sections of land at that time In each issue of the newspaper of Montgomery published at this time, and on file now at the office of “The Montgomery Advertiser”, we find advertisements of men who lived solely by auctioneering. 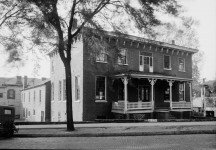 The lot on which the house now stands was sold for $300.00, to John M. Nowell and Elizabeth, his wife. Nowell evidently built the house between 1853 and 1856, because after holding this lot for less than three years he sold it and the improvements thereon, for $1100.00, showing the greatest increase in sale price of any period during the sale of the land. 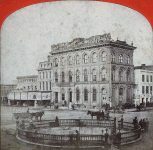 On the 17th day of July, 1855, Joseph A. Gaboury, the; President of the Street Railway Company of Montgomery, bought the property and lived there for thirty-three years. Mr. Gaboury was distinguished as having, as a Civil Engineer, constructed the first practical and successful electric street railway system in the United States, that of Montgomery. 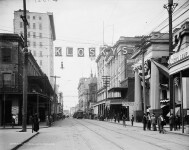 The first trolley car of the system was tested on Court street. 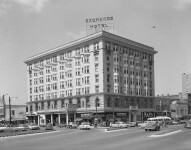 Among the first passengers were Charles Van Depole, a Belgian chemist and inventor, Warren S. Reese, Mayor of Montgomery; J A Gaboury, President of the Street Car Company, and Colonel W. W. Screws, Editor of the Montgomery Advertiser. There are many amusing incidents of this first street car that have been related, and as amusing as they are they are really true. It is said that as each man took his seat in the car, immediately his watch stopped. This was caused by the dynamo which was in the front of the car and uncovered. No harm was done the watch, however, for after leaving the car, it began ticking once again. The dynamo was a magnet for keys. A man’s key ring, or any single key being brought into the car would immediately be drawn in its direction. At this time bustles were the height of fashion and as the dames and belles of the day stepped into the entrance of the car (which was at the rear) they quietly slipped into the seat nearest the door as the dynamo held the same fatal attraction for the steel in the bustles as it held for the gentleman’s keys. On February 13th, 1888, Joseph Gaboury, and his wife Alice O’Dwyer, (who was a native of Montgomery, Mr. Gaboury himself being a Canadian) sold their home to Colonel John W. A. Sanford, Jr., for $2,650.00. Colonel Sanford had been Colonel of the 60th Alabama Infantry Regiment,,Confederate States Army, Attorney General of Alabama and at a later day Clerk of the Supreme Court of Alabama. 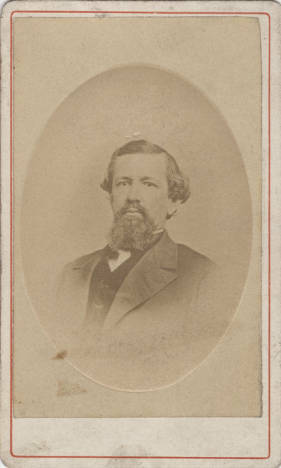 He was the father of John W. A. Sanford, III, the designer of the present flag of Alabama. 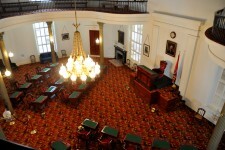 The flag was made in this house in the front room to the left after entering the front door. 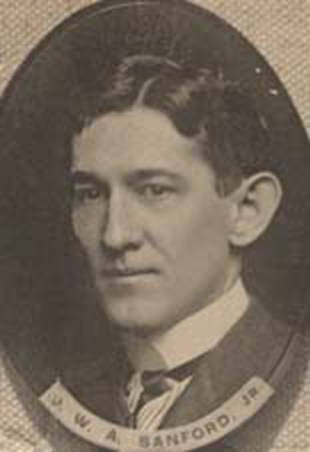 John W. A. Sanford, III, designer of the present flag of Alabama, was a lawyer by profession, and a member of the Alabama Legislature of 1895. He married Miss Minnie Smoot, of Mobile, and both have since died. 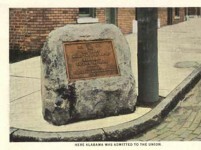 They left descendants who reside in Alabama. The cottage is unpretentious, consisting of parlour, dining room, kitchen and bed rooms, with a narrow hall leading from the front door directly through the entire house. The timbers of the house show its age. The underpinning timbers are mortised, that is, cut to fit one into the other and pinned together with wooden pegs. Sallie Taylor Sanford was a noted belle and beauty of Montgomery, one of the two lovely daughters of William Henry Taylor, a courtly South Carolina gentleman who came to Montgomery about 1830. Before leaving South Carolina, William Henry Taylor gave a part of his plantation to the City of Columbia. 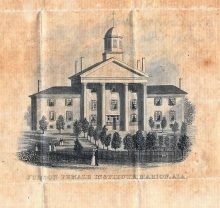 He also gave the plot for the Theological School in Columbia which institution has recently been moved to Atlanta, Georgia. The household furnishings of the Sanford home were interesting and lovely. 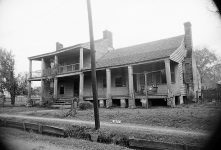 The greater part of them came from Colonel Sanford’s paternal home in Milledgeville, Ga., a home noted for its great beauty and its hospitality. However, there were many lovely pieces of silver from the Taylor family and one life size portrait of Mrs. William Henry Taylor, painted by a famous artist of that day. 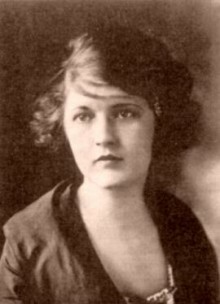 After Mrs. Sanford’s death her granddaughter, Mrs. Burlin R. Starnes, nee Camilla S. (Valine) Sanford, inherited the property and later sold it to Mr. John Bradford, now of Montgomery, but formerly of Springfield, Illinois. It is interesting to know that Mr. Bradford is the only man in Montgomery, and possibly the only man in Alabama, who intimately knew Abraham Lincoln. I am quoting my interview with him as nearly as possible in his own words: “My father and Abraham Lincoln went to Springfield together in 1841; at that time it was a small town. 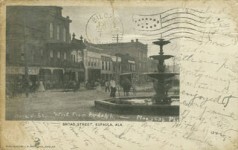 We were living near neighbors to the Lincolns, at the outbreak of the War, and the two families were as intimate as next door neighbors in a small town usually are. 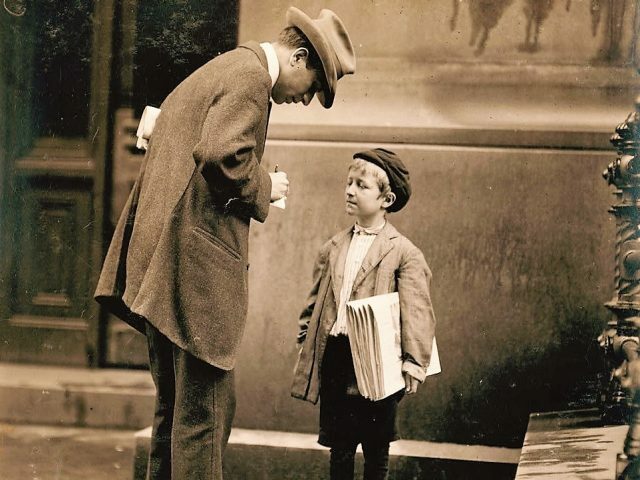 Mr. Bradford has had several letters from Tad Lincoln, one of them he gave to the Alabama Historical Society, another to the California Historical Society and the others to members of his family and friends. On November 19th, 1924, Mr. Bradford sold his home to Mrs. Fanny Cosby Evans, the present owner and occupant of the little house in which the flag of Alabama was made, the little house in which so many people of historic interest have lived. 1Cottage no longer stands on this corner. RIBBON OF LOVE: 2nd edition – A Novel Of Colonial America: Book one in the Tapestry of Love Series – inspired by actual people and historic events. 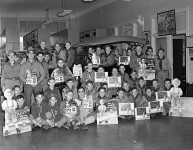 On sale at Amazon.com – Free shipping with Amazon Prime – Books Make Great Gifts! 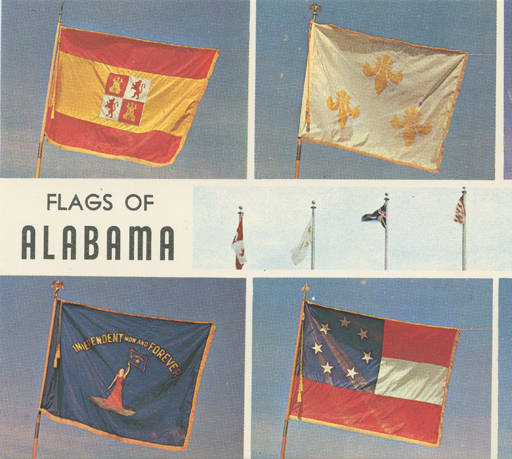 In Flags That Have Flown Over Alabama, the author, while correctly including the Confederacy’s First National Flag (The Stars and Bars), omits the 2nd and 3rd National Flags of the Confederate States of America of which Alabama was a part. Also, not so sure you could correctly say that the Battle Flag flew over the State of Alabama. It was a Battle Flag only. 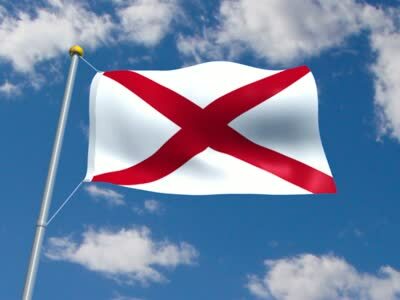 It was not a state flag for the State of Alabama or a national flag for the Confederate States of America. Glad you caught the “flags over the capitol” apparent error. I was about to offer a similar suggestion. Too many people forget the difference between the official CSA flags and the Battle Flag of the Army of Northern Virginia (the “Battle Flag”) I also noted the US Flag is conspicuously missing from the displayed flags. I hope the webpage administrator can correct that error with some haste.